More people are becoming interested in using the marijuana both medicinally and recreationally. 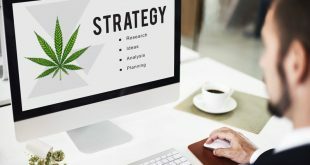 With so many dispensaries and collectives to choose from, it can be difficult for people interested in marijuana to find out which strains are best for them. Whether you are using cannabis for medicinal or recreational purposes, when trying marijuana for the first time, you should start small. You may be compelled to try as much as possible, however, there are so many different types and you are likely to struggle finding the right strain for you. Some strains can make you feel paranoid or cause anxiety, and you will have to experiment to find out exactly how they affect you. There are many methods to administering the beneficial compounds and ingredients of marijuana. You might try marijuana through smoking it, rolling a joint (ex. how to roll a cone joint), through a waterpipe or bong, patches, edibles, etc. This article will go over what you should consider when trying marijuana. We’ll explain the difference between sativas, indicas, and hybrids. If you are new to marijuana or you’re a seasoned connoisseur, you still probably haven’t tried them all as genetics continue to develop and progress. Also check out this helpful list on 60 Commonly Asked Marijuana Questions. We hope this article is beneficial for you for the next time you are looking to purchase your medicine. Like anything, it is best to start small and ease your way in, especially if you’re new to trying top shelf marijuana strains. Many of these high quality strains can cause unfavorable side effects like paranoia anxiety, and even hallucinations. Even the most seasoned veterans can be affected differently by various strains. Once you’ve tried a strain, choose a place that is comfortable and safe for you. You will want some space to relax. 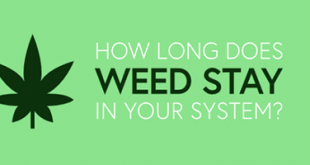 Keep experimenting and explore strains that might be right for you. Do research and see what appeals to you. THC is psychoactive ingredient and compound in marijuana and is exactly what makes you feel stoned. THC releases hormones in your brain called dopamine, which are responsible for pleasure. Some botanists speculate that THC may be the way cannabis evolved to defend itself from herbivores who may eat the plant for lunch. The irony is that it makes you hungry! Many top shelf strains of marijuana are developed to have the highest content of THC possible, which currently is about 30%. Have you ever looked closely at a marijuana bud and saw that it is glittering with crystals? Those crystals are trichomes. THC loves to live in trichomes, which can be found all over the stems and leaves of marijuana. If you were to look closely or under a microscope you would see that they also vary in color. You may see that they even appear to be milky, which is a positive. You want trichomes to be amber or milky in appearance. Amber looking trichomes are known to include more relaxing effects while milky appearing trichomes seem to give more of a head high. Trichomes having this sort of appearance tend to be potent. Marijuana strains are grouped into three categories: sativas, indicas, and hybrids. Below is some detail of what makes each strain unique from the next. Sativas are great for sparking creativity. These types of strains can help motivate you and make you want to move, unlike indicas. When you look at the leaves of a growing sativa cannabis plant strain, you will see that they are long and thin. You may also notice that the leaves spread out and appear to be fan-like. Sativas have higher levels of the psychoactive compound THC and lower levels of calming CBD. You may discover that when trying sativas you want to be creative. Many people turn to sativas for help treating depression, as sativas get you to think more deeply about things. Some popular sativa strains are: Power Plant, Malawi, Durban Poison, Purple Haze (many “hazes” are sativas), Maui Waui and Double Thai. Indicas are often a great choice for medical marjuana patients. Indica strains have a higher CBD than sativas and hybrids. CBD is linked to many of marijuana’s medical uses. Appearance-wise, when looking at a growing indica plant strain the leaves are wide and closer together than a sativa, making the leaves appear large and chunky. When considering an indica strain, make sure that the buds are dense. You may find that when using an indica you may feel relief from pain, anxiety, and even insomnia. Indica strains will may give you a very heavy body high. Some however, may feel anxiety and less control using indica strains as they tend to be heavier. Some popular indica strains are: Hollands Hope, Northern Lights, Blue Cheese, Critical Kush (many “kushes” are indicas), Afghan Kush, Blackberry and Passion #1. Hybrids are the best of both worlds. They are a combination of sativa and indica qualities. The effects vary, but some can give an uplifting and relaxing high. Hybrid strains are created to get the best properties from both sativa and indica strains. You may have heard of some of these popular hybrid strains: Satori, Chronic, OG Kush, White Widow, AK-47, Skunk and Cheese. There are strains that are grown specifically to be non-psychoactive, which is great if you’re not looking to get high. If you’re feeling anxious about using marijuana a strain you can still get the medicinal benefits of marijuana with non-psychoactive strains. 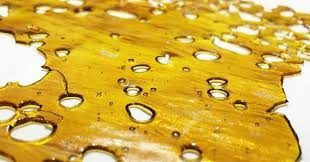 These strains are high in CBD and are great for new users; some of these strains are used for treating children. Charlotte’s Web is a strain that is known for it’s medical benefits for treating seizures. This strain has a CBD content of 20%, with less than 0.5% THC, but there are no seeds available for breeders. Pennywise is a TGA Genetics strain that is great for PTSD patients due to it’s 1:1 ratio of THC and CBD and a CBD content of 12-15%. The effects are known to be euphoric and provide mental clarity. Painkiller XL is a hybrid strain that also has a 1:1 ratio of THC and CBD, and is known to give relaxed and happy medicated effects. One last thing to remember about marijuana, strains are only a piece of the story. How you choose to ingest your marijuana is a huge part of the whole experience. Many people smoke marijuana, but there is no “right” way to use the plant. We encourage you to experiment with many different delivery methods to help you have the best experience you can. We hope you enjoyed this article to marijuana strains and it is beneficial in helping you pick the perfect strain for your needs.